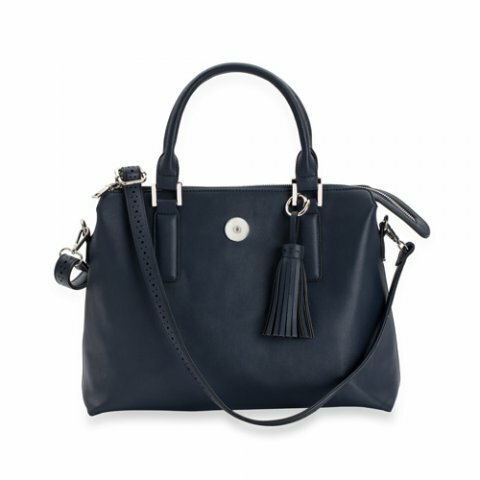 Fashionable, functional and fabulous, the Large Tote Bag in Navy lets you bring everything you need with you in style! 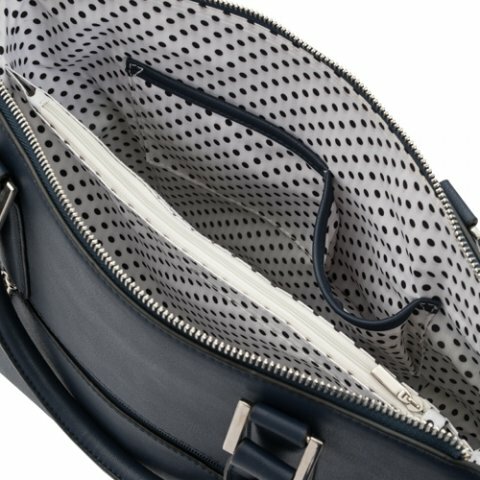 Pockets inside and out for organization and straps and handles for any carry option, plus the addition of a gorgeous Statement Dot for added detail, make this tote your most important accessory. Measures 15" x 11.5" x 5.5"
Adjustable crossbody strap adjusts to 53"
I Love this Large Tote!!! It looks professional and I can bring everything I need for the day in 1 bag instead of 2 or more!!!! This bag is everything I've been looking for! There is a place for everything!!! I love it. This is my favorite handbag. I can carry everything I need at one time and still has room for more!!!!!! I absolutely love it!!! !